[Mixtape] Xpensiv DJ Mighty – Party Mixtape 2018 : Xpensiv DJ Mighty takes it a stephigher by pleasuring us with another Mixtape entitled ”Party Mixtape 2018″. 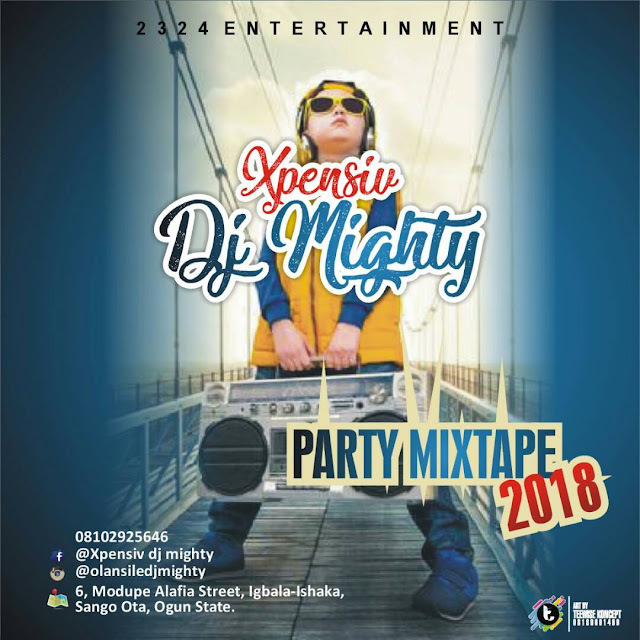 Xpensiv DJ Mighty is one of the best DJ who has proven how good and talented he could be when it comes to making good Mixtape. Cop yours below and comment.